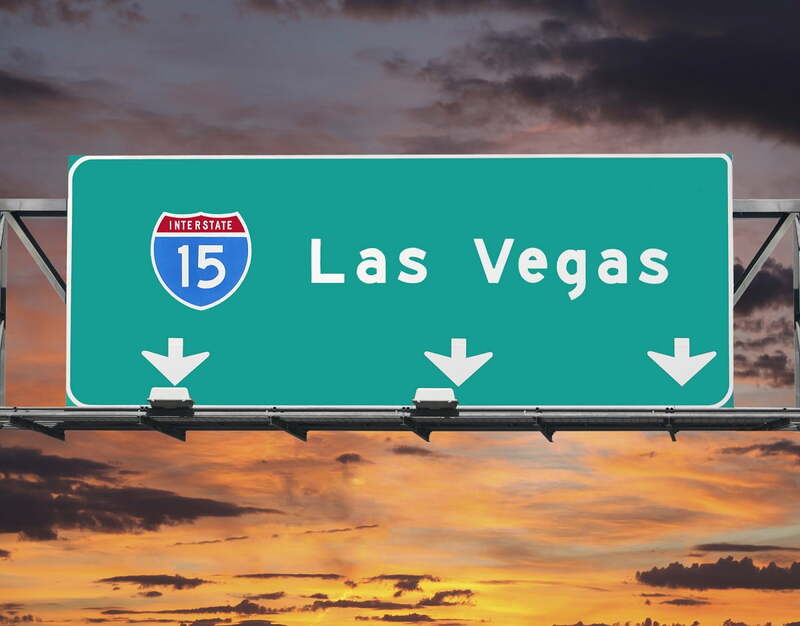 An Israeli startup leveraging artificial intelligence and predictive analytics has helped the city of Las Vegas improve road safety and reduce vehicle crashes by some 17 percent on a stretch of one of its busiest highways. According to a report this past week in the Las Vegas Review-Journal, a yearlong pilot program between Israeli-founded company Waycare, which developed an AI-driven mobility platform for traffic data management, the Regional Transportation Commission of Southern Nevada (RTC), the Nevada Department of Transportation and the Nevada Highway Patrol (NHP), has yielded promising results for traffic management and reduction of car accidents along a stretch of northbound Interstate 15 in the city, near the Las Vegas Strip. Founded in 2016 in Palo Alto, California, and with offices in Tel Aviv, Waycare seeks to enable cities to take control of their roads by harnessing in-vehicle information and municipal traffic data for predictive insights and proactive traffic management optimization. Its technology collects historical and real-time data from both external and internal sources – such as connected car platforms, in-vehicle telematics, camera feeds, sensors, navigation apps, city infrastructure data points, and public transit sources – to help municipalities and other public bodies like law enforcement, traffic operations, and emergency services, improve road safety, manage congestion and respond quickly to events such as car breakdowns and accidents. In Las Vegas, for example, Waycare identified areas of high-risk along the stretch where the program was being implemented, and alerted transport agencies where and when to take preventatives measures. The RTC then used dynamic message boards to relay advanced warnings of an incident, alerting drivers to slow down and drive more cautiously, while the Nevada Highway Patrol “deploys its vehicles in high-visibility mode along the freeway in conjunction with NDOT, which assures that safety barriers are in place for the police officers on freeways,” the Las Vegas Review-Journal reported. “Groundbreaking partnerships like this enable Southern Nevada to continue to lead the way in leveraging advanced technologies to dramatically improve traffic safety and efficiency,” RTC general manager Tina Quigley said in a statement cited in the report. “These latest statistics coupled with the fact that we are identifying accidents up to 12 minutes faster with the Waycare platform helps translate what public and private partnerships can do and that AI is working to modernize and create a better transportation system for all,” she added. Nevada state officials said they plan to use the program in other areas of the Las Vegas Valley. Wacare is also running a pilot program in Tampa, Florida where there is “cross-collaboration among the city’s traffic management department as well as police, fire and dispatch agencies, all of which are focused on improving safety and gaining efficiencies,” according to a Government Technology report. A city official said the Israeli company’s pilot is successful “mainly because Waycare relies on so many different types of feeds that it gets information fast, and it can verify that information better than most other agencies that require a little bit more manual interaction. Waycare previously completed a pilot program in Tel Aviv. In April, the company announced an important partnership with another Israeli-founded firm, the navigation tech company Waze, sold to Google in 2013, for data sharing. “Our partnership with Waze will further enable municipalities using Waycare’s traffic management platform to unlock critical operational insights to improve traffic flow and traffic safety,” he added. Waycare has raised $2.3 million so far, according to Crunchbase, and was founded by Maital, Shai Suzan, who serves as CIO, and Idan Hahn, CTO.